It’s a fact that poor communication is the number one reason why couples split up. That’s why communicating with your partner is so important in a relationship. It is necessary to truly understand the communication habits of your significant other. While some communication is natural – think about how easy it is to text your partner – other communication takes effort, such as having an open and honest conversation about certain relationship events or challenges. So, if you are ready to create strong communication habits with your partner, here are the communication secrets that are guaranteed to improve your relationship. 1. Listen to your partner. When having a conversation with your partner, it is important to let each other talk. Yet, it is perhaps more important to listen to your partner and actually hear what they are saying. Ask questions that allow your partner to share more information instead of changing the topic or ending the conversation. Show clear and devoted interest to him or her. Create a safe and supportive space to fuel your communication efforts. 2. Resist the urge to be argumentative. Avoiding arguments, especially for those of us with Type A personalities can be a challenge. Although certain communication topics or methods may put you on the defensive, you must resist the urge to be argumentative. Remember – your partner’s feelings are more important than creating an argument over something relatively meaningless. Resist the urge to refute every claim and instead listen to him or her. 3. Avoid demonizing your partner. If you have a problem or concern with something your partner is doing, express it in a mature fashion instead of putting them on the defense. 4. Be open and honest with your partner. It’s true – communication requires honesty. And lots of it. Let yourself open up and be honest with your partner, even if it is difficult at first. If you have a concern about his/her behavior, be open about it. Don’t be afraid to be honest..
Much like it is important to be honest with your partner, it is perhaps even more important to be honest with yourself. Try to be aware of your own feelings. Are your feelings reflective of an insecurity you may have? Becoming more introspective will allow you to have much more fruitful conversations with your significant other. 6. Be aware of non-verbals. Both genders sometimes conceal their emotions, but non-verbal actions do not lie. Pay attention to facial features, body posture and all of the non-verbal signals during a conversation. It is the non-verbal messages that tell the tale. Instead of getting into a routine of saying “I love you” time and time again and relying on the verbal, make sure you communicate with your actions as well. Make sure your verbal communication is consistent with your non-verbal communication. 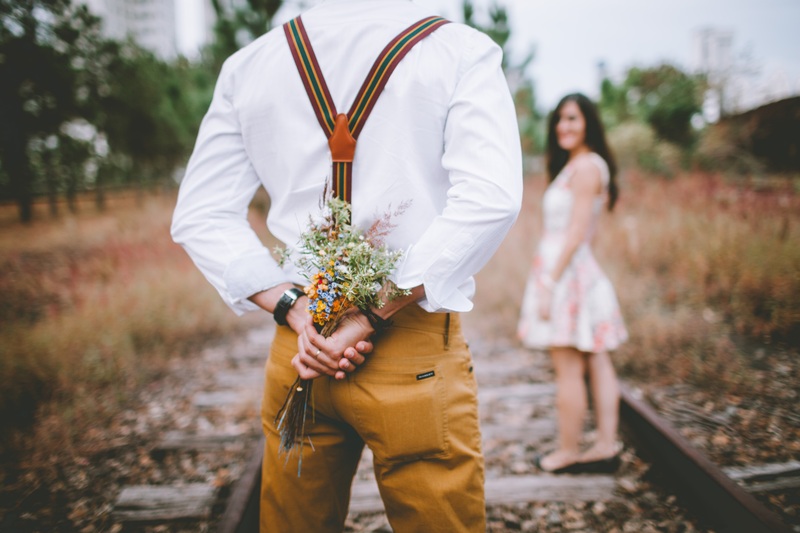 When coming home from work or going out on a date, don’t be afraid to pick up flowers, plan fun outings, surprise him or her with a homemade dinner or give a gift without prompting. It is truly the small gestures that make the largest impact. 8. Get in the habit of communicating. Deeper communication can often be neglected in a relationship as both individuals are busy with their daily activities. From work to friendships, family to extracurricular events, our schedules are often jam packed. Get in the habit of tastefully making time for communication when it is necessary. For example, every Sunday morning you can grab a coffee, go for a walk, and dissect your week while preparing for your next. This will become habit (and fun!) over time. By using these communication tips, you are sure to see improvement in your relationship. And remember, this is just the first step. It is important to stick with your newfound commutation habits and stay committed to the process.